Ep 91 James Nielsen - Why Don’t We Teach Sales at School? Welcome to the Sales Development podcast, the only audio forum focused and dedicated to helping Sales Development professionals get better at their jobs and push the practice of Sales Development forward. This is a place for practitioners in the trenches getting it done every day, whether they are called SDRs, BDRs, ADR's or others, ... See More its the team charged with creating pipeline out of inbound lead activities and outbound approaches. 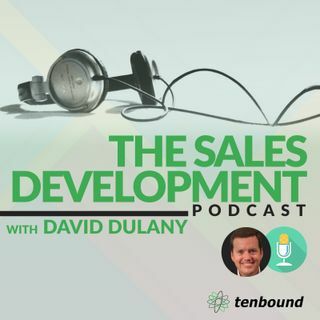 My name is David Dulany and I'm the host of the Sales Development podcast. If you've got subjects you'd like to hear covered on the show or guests you'd like to hear from hit up via email at David at tenbound dot com, LinkedIn or Twitter and be sure to subscribe to the podcast on itunes, soundcloud, youtube or wherever you found us.